Child from town of Kochav Yaakov near Jerusalem fighting for his life after bicycle accident. 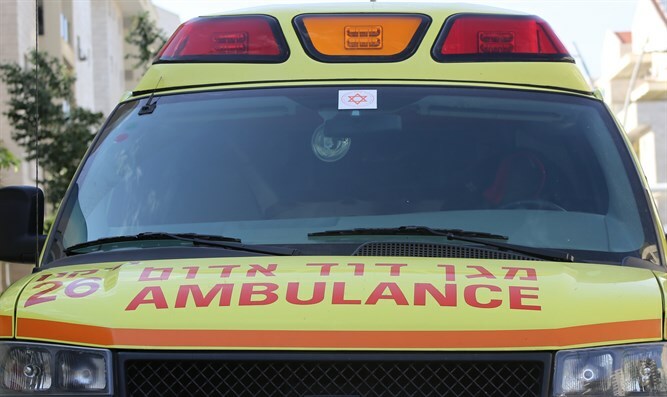 A seven-year-old boy from Samaria is in serious condition after a bicycle accident Monday afternoon. The child apparently fell off his bicycle while riding in his hometown of Kochav Yaakov north of Jerusalem. An MDA emergency response team was called to the scene to treat the boy. Paramedics provided emergency first aid before evacuating the boy to Jerusalem’s Hadassah Ein Kerem Medical Center. The boy suffered serious head injuries in the accident, and was unconscious and hooked up to a respirator when he was evacuated to the hospital. His condition is listed as serious. According to a preliminary police investigation of the incident, when the boy attempted to apply his breaks, the bicycle began to skid, and he was thrown off the vehicle, landing on his head.